Liverpool fans can rest easy now that new manager Jürgen Klopp has got his first win at the club under his belt, while also casting an eye to the future after seeing some exciting football from man of the match Roberto Firmino and youngsters Jordan Ibe and 22-year-old Portuguese midfielder Joao Carlos Teixeira who cut through the Bournemouth defence like a hot knife in butter. Ahead of this weekend’s clash with Chelsea at Stamford Bridge, a game many people say could spell the end of Jose Mourinho at Chelsea, German manager Klopp rested nine of his regular players, retaining just Nathaniel Clyne and Divock Origi from the team that drew with Southampton at the weekend. “We did well tonight as we did not have too much time for training between the games – we had only one hour training with this new team and system. “Minute-by-minute we got better and for the whole 90 minutes we played football. Speaking about the academy players Klopp added: “First of all I’ve been here about two weeks and I saw these guys in training.” “Not only them but Pedro (Chirivella) and (Jerome) Sinclair. “They were mostly with us in training so I saw them and for me it was clear that the first chance I could give them, I would do it and that was tonight. “Some players needed a break and these players I was completely sure they had the quality to help us tonight and that’s what they did. “It was really not easy. One week ago I said it’s not so easy to rotate if you bring in players who didn’t play together. That’s right. “What we saw tonight was not ‘all of them’ but it was the best they could do and so I’m completely satisfied. “For example Cameron Brannagan has a very difficult position in the system we played today, in the half space as an eight. It’s really not easy to defend this position. “Connor Randall, all the long balls they played were in his space so if he was not a good header before this game, now he is much better because he had the chance to improve 20 or 30 times! Klopp also had good things to say about Firmino and No.2 goalkeeper Adam Bogdan and the general performance of his side. 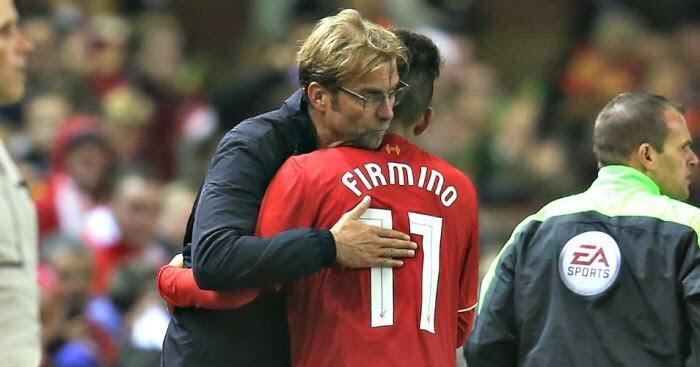 “It is important for a new player when he comes to a club to show this but he does not have to show me because I know him very well,” added Klopp on Firmino. “We know a little bit more about him, it was very intensive for him tonight. “He is ready. He is prepared for this league, he is physically strong, a good technician and usually he is a good finisher. A good player. “Adam (Bogdan) was brilliant but for this we have goalkeepers! But for the rest of the game we were the better team, with a completely new team. That’s really cool. “We had our common movements, moving into the right space, attacking at the right moment, always attacking when they have to defend. They want to do what I say, that’s important. “I’m nearly surprised it’s so good in this moment.